Here is our final menswear roundup for this week. Winston Duke @ ‘Us New York Premiere: The actor joined Lupita Nyong’o on Tuesday looking very dapper in his navy blue suit. In terms of fit, colour and cut, this look was impeccable. Colin Farrell @ ‘Dumbo’ London Premiere: Joining his gorgeous cast-mates, Nico Parker and Eva Green, the actor continued to showcase his love for plaid suits in Brunello Cucinelli. 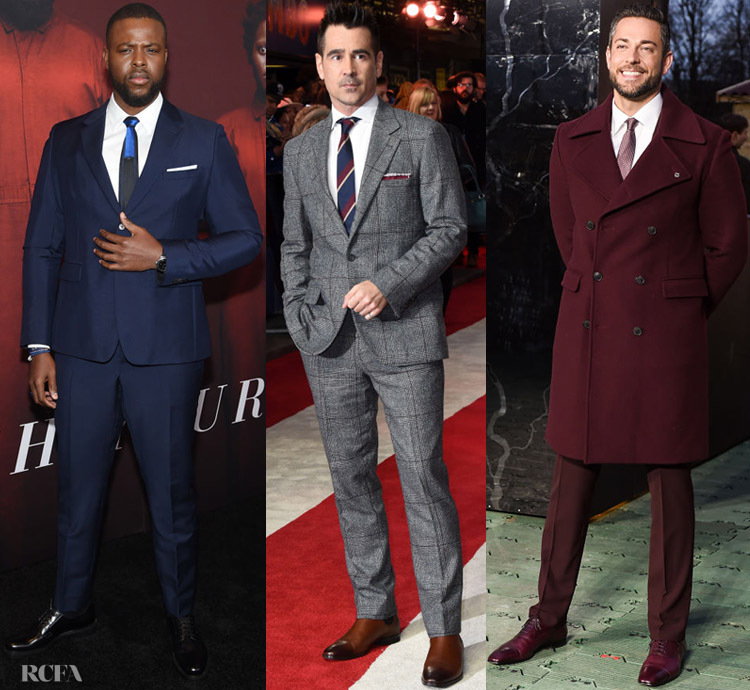 Zachary Levi @ DC ‘Shazam’ Fun Fair Photocall: The actor was looking like a tall drink of water, or in this case; bottle of Shiraz, wearing a burgundy suit from dunhill. Proof #101 that there’s nothing wrong with going matchy matchy. A Montblanc timepiece completed his look.